Recently plexiglass products as if squeezed together to lay a greeting horizon . A plexiglass tank luxury déjà vu photos, so plexiglass products boarded the " Tyrant " Charting the necessary equipment ; some well-known brands of bags jewelry is using plexiglass to create a " violent cool " people I can not help but admire the charm of plexiglass. Sunday Knight plexiglass products have a transparent and generous appearance, a firm reminder of the inherent, internal and external integration of such quality, plus mimicking glass, but wear shatterproof than glass, it is a work of art like existence. But think Tyrant necessary equipment but not so appropriate. In our lives, light boxes, mobile phone screens , transparent display cabinets, licensing legislation, such objects are plexiglass products . Plexiglas material produced in accordance with its good features arts and crafts or consumer goods , high transparency, low price , easy machining , etc., so plexiglass products widely used in our lives everywhere. 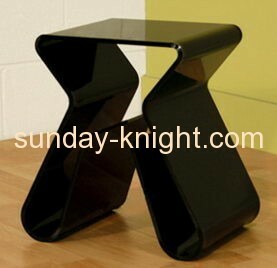 Sunday Knight Co., Ltd is a professional production and sale of plexiglass products, acrylic products , and other enterprises . The company enable professional management personnel and technical team , strengthen technical upgrading products to professional and diversified products continue to exceed customer demand and by virtue of its own strong logistics capability advantages , has developed into a designated supporting a number of Fortune 500 companies suppliers, and provide one-stop service for the growing number of European companies. Sunday Knight Co., Ltd plexiglass products noted plexiglass has excellent transparency , outstanding resistance to aging ; less than half of its share of ordinary glass , anti- fragmentation capability is several times higher ; it has good insulation properties and mechanical strength ; acid , alkali , salt has strong corrosion resistance ; and because easy processing ; available for bonding, sawing, planing, drilling , engraving, grinding, screen printing, sandblasting and other manual and mechanical processing , flexible heating molded into a variety of plexiglass products. But the professional and technical environment and technology talent is the key to ensuring the quality of plexiglass products . Suzhou Friends of plexiglass products after several years of hard construction, has set up a professional plexiglass laboratory , testing equipment has a laser cutting machine , laser engraving machines. Processing plexiglass, acrylic high speed, high accuracy, good effect , to produce handicrafts, lens panels, wood carving , wood Peel and cut flowers, advertising products, packaging, display, crystal words, models, toys, furniture, etc., In order to ensure quality to provide assurance. In a short time, there are many international large enterprises to become long-term partners with Sunday Knight, product marketing various markets such as China , the use of machinery, telecommunications, home appliances, construction, decoration, exhibition and other industries, with annual sales volume continues to increase, expanding, product by the majority of users. Advertising products , digital technology and the field of furniture from plexiglas growth in recent years is the most obvious, plexiglass products transform into furniture, you can increase the sense of space within the building, but also on creating a stylish tall. And for billboards, advertising light boxes is evident with the growth in demand for marketing. Digital technology products is the Internet era , the era of mobile Internet products, and these products shell, plexiglass screen and so need embellishment. Sunday Knight Co., Ltd give a reminder to you, plexiglass products currently already has a wealth of features , only a variety of forms, and various color display. However, there are many on the market cheap, poor -quality substitutes , then you can take an adice from Sunday Knight Co., Ltd.